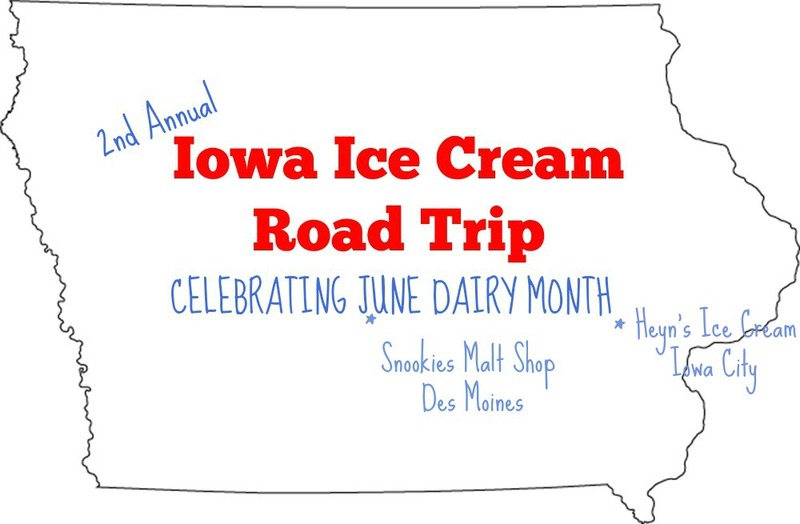 It's June Dairy Month, so that means our family is celebrating by visiting iconic Ice Cream Shops and Parlors around the state of Iowa as part of our 2nd Annual Iowa Ice Cream Road Trip! During the first week of June we visited Snookies Malt Shop in Des Moines. Week two we traveled to Iowa City for a wedding so we figured we'd better make it a blogging experience too by visiting Heyn's Ice Cream! Heyn's Ice Cream is in the heart of Iowa City, or at least it felt that way for this Cyclone family... To tell you the truth we've never really been to Iowa City and have definitely never drove that far in to Iowa City. But I'd have to say it was worth it! Heyn's Ice Cream was delicious! Upon entering the ice cream parlor we couldn't help but check out the cute Holstein dairy cow decor and the wide variety of ice cream flavors and serving options! Heyn's makes over 40 flavors of hard ice cream, so you should be able to find something that fits your taste buds. I wanted to try several flavors but decided to go with their top seller - Monster Mash! Monster Mash is a vanilla ice cream with monster cookies mixed in it. It was perfect for me since I love cookie dough ice creams. My Farmer went with Kara's Creation (which is an Oreo cookie, caramel, peanut ice cream) and gave it a two thumbs up review! Like I said earlier, they have a variety of serving options for their ice cream - shakes, sundaes, twisters (think Dairy Queen's Blizzard), parfaits, banana splits, and of course several cone options. We decided to splurge and go with one of their hand dipped Dream Cone options. Both My Farmer and I enjoyed their Butterfinger Dream Cone. So, if you are ever in Iowa City, or anywhere within an hour... you should make the trip to Heyn's Ice Cream, even if you're a Cyclone. Don't be scared of the Hawkeye families that guard the outside of the store. You can buy the homemade ice cream in take home containers of pint, half gallon and gallon sizes if you feel like you need to make a quick exit! ;) But seriously, it was very good ice cream - it was rich, flavorful, creamy and fresh! Heyn's now holds my spot for top hard ice cream in Iowa. 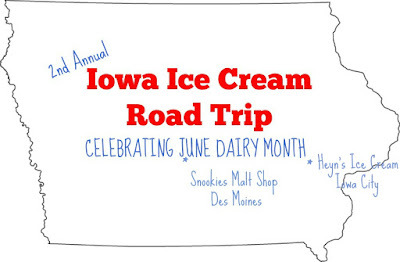 (My pick for top soft serve in Iowa is the Whippy Dip in Decorah.) And the people, Hawkeyes and all, were friendly. Have you ever been to Heyn's Ice Cream? What is your favorite flavor if you have been? Do you prefer soft serve or hard ice cream? Remember to Comment for a Cause! What a fun place! I love this ice cream tour! So hungry for ice cream! I'm hungry thinking about it too! I love the flavor of Monster mash! Everyone loves monster cookies. That's a genius idea.